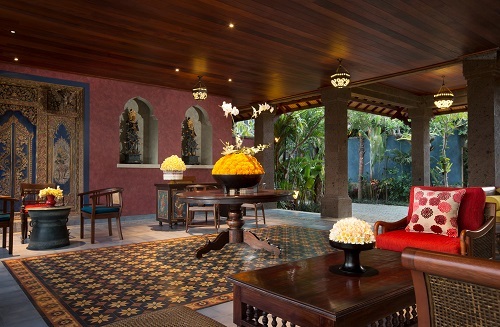 Nestled in the middle of the traditional Ubud village, Dwaraka The Royal Villas is the perfect place to escape from the hustle and bustle of the city. Yet it is only a 5 minutes drive to the center, or a leisurely 15 minutes walk. 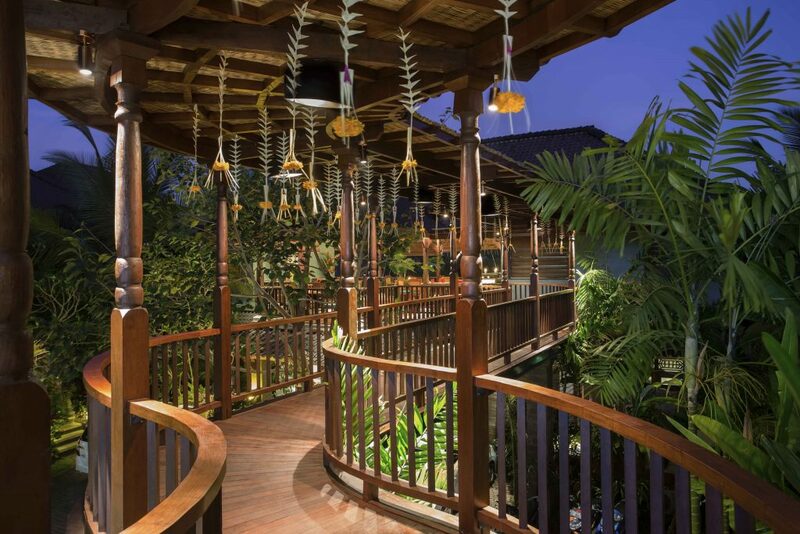 The property was inspired by the ancient legend of Lord Krishna’s kingdom called the Dwaraka Kingdom. 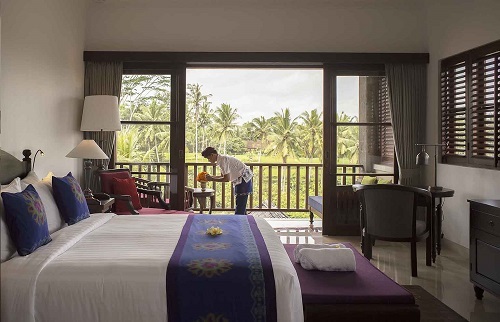 The architecture of Dwaraka Villas incorporates the finest Royal Balinese house design and luxury modern facilities providing a luxury and comfortable setting for its guests. 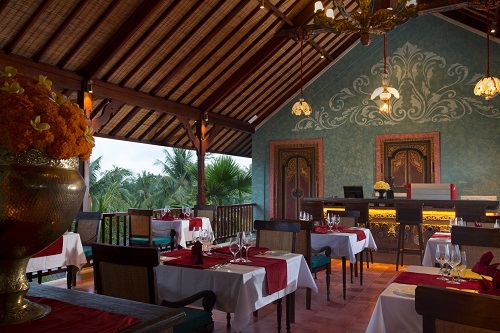 The Dwaraka’s own restaurant, Yashoda Kitchen, is set on the second floor with beautiful views of the Ubud rice fields. It’s a fusion style restaurant with a range of raw and healthy foods as well as an International cuisine. 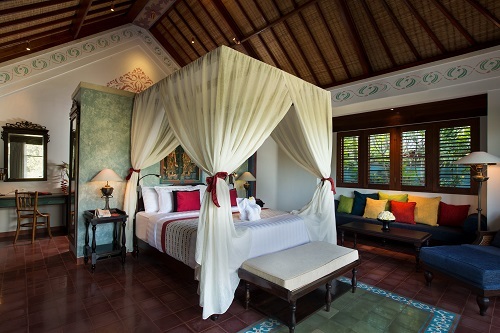 The property has it’s on spa facilities – the Radha Spa, offering traditional treatments for its guests. 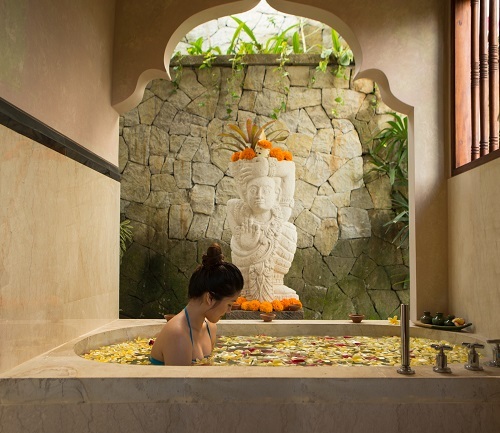 The spa is open daily from 9:00am to 9:00pm. If you would like to come here with your group or extended family, below is detailed information on all the accommodation options with bed layouts. 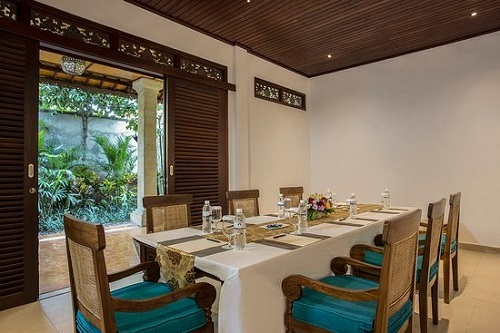 The Dwaraka Villas also has a beautifully appointment meeting room and sessions can also be held outside. 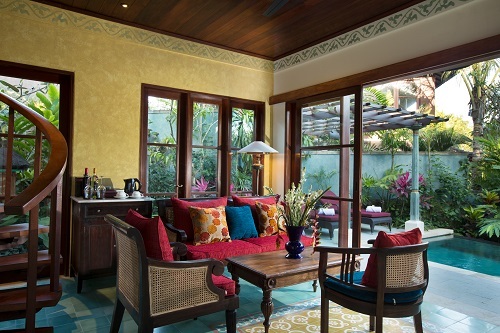 If you would like to have a customized journey arranged to the island of Gods (Bali), staying at this beautiful property, including your own driver & guide and unforgettable tours, please fell free to contact me.